I was laying in bed next to Joe who was snoring. I could see out the window into a city street where a small groups (six?) 'shooters' in gray uniforms were standing next to a building with guns ready. I kept nudging Joe to wake up, saying, "Shooters! Look at the 'shooters'" but Joe wouldn't wake up and I felt very frustrated. Then I realized that I was sleeping too and dreaming this and it wasn't real. NOTE: After I woke up I was thinking about that dream and I had a quick vision which showed me the same 'shooters' in gray uniforms and wearing flight helmets , standing in a desert-like area like they had just flown in. A voice said, "They looked like this!" and it looked very real. NOTE 2: I wasn't familiar with the term 'shooters' but a couple days later, the very next page I came to in a book I was slowly reading titled, "The Rogue Warriors - Strategy for Success" by Richard Marcinko, I came to this on page 20: (He was talking about how he trained even the lowliest of his team to do 'all' the jobs including 'flying' even though that wasn't part of their normal training according to military protocol) "The net result of my care and feeding of my grunts, or 'shooters', was that these guys would gladly move hell for me and bite the tongue off the devil. And each of them would be able to do something like that because each shooter could fly, parachute, swim, and attack all by himself, if necessary. Each man mirrored the entire machine of "SEAL" Team Six and the machine mirrored each man. I did research on the grey uniforms, and other than civil war period which I knew this wasn't - grey uniforms are worn by the Chinese. I didn't find any other country that used grey uniforms. 4-19-05 - DREAM - I was living in a house with a woman named Mary. She had a husband, but he was never home. He worked night and day it seemed. I woke up in the morning, when Mary came to the door of my bedroom and asked if I was all right. The room was dimly lit because there were dark shades on the windows, so I couldn't tell what time it was. I became alarmed that she needed to know if I was okay, so I got out of bed to see if she, herself was okay. I came out into the living room, I saw on the clock that it was 10 minutes to 8 a.m. It was later than I thought and I could see that the sky was blue and the sun was shining outside. I should have gotten out of bed hours earlier. Mary was sitting in the living room talking quietly with a couple other women. I needed to go to the bathroom and when I went in there, I saw there was no lid or seat on the toilet, so I couldn't sit down on the toilet without falling in, so I couldn't use it. I decided to look for another bathroom and going through the hallway, I could look into Mary's husband's bedroom. On the wall, was a TV wall screen as large as the whole wall. It was showing a war movie. I don't like watching war movies and this one was particularly gruesome. There was a weapon they used that shot fie, not bullets. When someone got hit with the fire the burst into flames, completely immolated and burnt to a crisp. It was so awful I couldn't watch it, so I closed my eyes to blank out the sight of it. When I opened my eyes, the movie replayed itself and when it started getting really bad - to see the soldiers being annihilated by streams of fire coming down from the sky, I just couldn't watch it and closed my eyes again. Again I opened my eyes and the scene started replaying itself again. It came to me that every time I closed my eyes, it would repeat the war scene and it wouldn't stop doing that until I watched the film all the way to the end or I would never be horrified enough to do something about it to prevent it in the first place. So I stood there and watched the soldiers being hit by streams of fire coming from the sky. All the soldiers had were rifles to defend themselves with. They had no defense for these horrible weapons. They tried pressing themselves up against walls or behind objects and that didn't help. When the stream of fire came down, the fire was worse than a bullet, it could billow around corners and immolate anything that was close by. The film just kept getting worse and worse. Unfortunately, I was so horrified to see all these solders getting burned to death, I couldn't watch the film all the way to the end. I couldn't stand to see all these men die so needlessly. I had to close my eyes - it was too horrible to bear. 6-28-05 DREAM - I was riding in a car with a tall black woman. We went through an intersection and on the other side of that street was a square building that looked like it had silver windows or had silver curtains over the windows that was blocking them. My friend wanted to stop at a restaurant right beyond that building, so she pulled up in front of it. I decided it was a good place to go to the bathroom. We walked inside and instead of a restaurant it looked like a bird sanctuary. I no sooner walked in and all the doves came and sat on the hawks so they couldn't move. Over in the corner, some new chicks who had red feathers were fledging and I was told by a man who was watching them, it only took one generation to create them. There were a lot of them. (Having raised birds myself, I found that to be highly unusual to get as many red feathered chicks in just one generation.) Something highly unusual was going on here. None of these birds were in cages either. It wouldn't be long and these chicks would be flying all over. I saw a dog over a ways. The dog was large and dark brown and the dog was turning red also. The man called the dog Asia. The dog was pretty big and I was intimidated by it. The man said, "Why are you afraid of this dog? She's yours!" I denied owning Asia. Asia came over to me, walking around me, crying and whining for attention. I insisted I didn't own Asia. I told the man that my son Ken was in charge and asked where he was. The man said, "Ken went out hunting." So I told the man I would go find Ken and see what was going on. Obviously a lot had been going on while I wasn't paying attention. I went out into the yard to look for Ken and saw a green winter snowsuit laying on the ground. I was afraid that was Ken so I ran over to it and found the suit to be empty. So I went over to the house and hanging upside-down on the door was a brown winter snowsuit drying in the breeze. I had been afraid to look at it. It almost seemed like there was a body in it. I opened the door and there was Ken talking to his Father. I heard Ken say, "Ooops! I'd better get going." , and he came outside to fill me in on what was going on. During the Iran-Contra hearings, the Defense Intelligence Agency revealed that by 1985 the Nicaraguan military was at an all-time high of 62,000. The Nicaraguan government had more forces than the rest of Central America combined, not including the presence of Soviet, Cuban, and PLO advisers. A 10,500 foot airstrip with six foot deep runways that can accommodate the most deadly Soviet bombers is now completely built at Punta Huete in Nicaragua. This airstrip is already fortified as a military installation. Anti-aircraft batteries and surface-to-air missiles are already in place. Bill Gertz, in his latest book, The China Threat, exposes the grave national security risks that have accompanied the turnover of the Panama Canal. Former President Clinton, when asked about Chinese involvement in the Panama Canal, responded, "I think the Chinese will, in fact, be bending over backwards to make sure they run [the Panama Canal] in a competent and able and fair manner... I would be very surprised if any adverse consequences flowed from the Chinese running the canal." In effect, an admission of Chinese involvement in the Canal. Clinton later made a "clarification" as he had said too much, and had alarmed many Americans. The company in question, Lampoa-Hutchinson, is run by Hong Kong billionaire Li Kashing, known to have strong ties with the People's Liberation Army. This company now owns the entrance and exit ports to the Canal. U.S. Representative Dana Rohrabacher has stated, "Li Kashing and his Hong Kong-based company [Lampoa-Hutchinson] and subsidiaries are closely associated with the Beijing regime and have a history of acting as sources of funding or acting as intermediaries in deals for the People's Liberation Army." In a August 1, 1999 letter to former Defense Secretary William Cohen, Senator Trent Lott stated that the Chinese shipping company had gained great control over the Canal and could use the ports to deny passage to U.S. ships. He wrote, "It appears that we have given away the farm without a shot being fired." On Wednesday, May 9, some 10,000 demonstrators took to the streets, effectively shutting down Panama City… An old State Dept. hand very familiar with the situation in Panama tells NewsMax that the labor unions taking to the streets are backed by Fidel Castro. Chinese missiles being shipped into Panama? Gertz reports that China has two new medium-range missiles that are transported and fired from truck launchers, small enough to be concealed in shipping containers. One of these Chinese missiles, the DF-31, has an explosive yield of 0.3 -1 megaton (between 20 - 60 times more powerful than the atomic bomb dropped on Hiroshima). In declassified spy photos obtained by Gertz (see China Threat, 235), it is clear that these small, mobile Chinese missiles could easily be shipped into Panama without being detected. This analysis by Gertz is very important, for it would shed new light on Our Lady's message of March 26, 1983: "My child, the last time We spoke to you, We told you that there was a far greater message to be given to mankind. This is the message: That Russia plans to invade the United States with missiles!" And the message of June 18, 1987: "Already there are plans afoot, and in the making, with missiles and all dire instruments of destruction. These plans are being formulated from Nicaragua, to go into Mexico, and thereupon into the United States." Constantine Menges also expressed concern that Chinese support for anti-American subversion in the region will affect Mexico, which is politically fragile. He cites Mexico's expanding energy needs, and that a combination of Chinese commercial relations with Mexico and covert Cuban subversion could effectively combine, bringing a radical communist regime into Mexico over time. According to Bill Gertz, the threat to the United States in that scenario is obvious. Mexico's border with the United States is two thousand miles long, and, as Menges states, "this could pose a serious problem to U.S. national security." (China Threat, 98). Just for speculation sake, what if DF-31 missiles and launchers have already been shipped into Panama, and moved by freight train to some complicit Mexican company just south of the U.S. - Mexico border? Isn't this a possibility? Chinese at U.S. - Mexican border? In October, the 25th  I think it was, some border patrol agents were fired upon by apparent Mexican military members. Upon further checking, the military members turned out to be "orientals"... perhaps North Korean or Chinese.... What I DID get was a personal confirmation from a lady friend of mine who works in the USAF Reserves with me - who also happens to be a US Customs Agent. She confirmed for me that there are indeed incidents that happen "all the time" (her words in quotes) regarding North Koreans, Chinese and Cubans. These "incidents" are usually kept "hush hush" and Border Patrol, as well as Customs folks are admonished not to chat with the Press about such things. Veronica - There are now areas being like pinpointed upon the map. I see California. It looks like southern California, and there are two dots on that side of the map, two in southern California. Now there is a line developing. It's sort of an area—I can tell that it's a line that's marking out something. It's going directly across the southern part of the United States, and it's stopping just over the left border of Georgia, and there's one point being made there. They're like—seem to be landing points for something going to happen. Now the line continues and it's now swerving upward and it's going into North Carolina. And then, suddenly the line is like—oh, I don't know—taking a fast curve over to the east coast. But then, as it goes along the coast, I see a large question mark. It appears to—that line appears to be heading northward along the east coast, and there's another question mark. I don't know how to explain it. It's a very ominous looking map. Our Lady - "You will understand soon, My child." Russian Intelligence Analysts are reporting today that both President Putin ( Russia ) and President Hu ( China ) have ordered the immediate activation of 10 Combat Ready Divisions to counter the increasingly aggressive moves being made by the United States in the Caspian Oil Regions of Central Asia. Special Forces Army Units of both Russian Spetsnaz and Chinese Immediate Action Units were also ordered to be immediately deployed to both Uzbekistan and Kyrgyzstan to surround the large American Military bases in those regions, and that the governments of both of these countries have ordered the Americans to leave. The government of Uzbekistan had called first for these actions, and as we can read as reported by the Indian National Newspaper Hindu News Service in their article titled "Uzbekistan steps up pressure on U.S. to close base" and which says, "Uzbekistan is stepping up pressure on the United States to withdraw its air base set up in the Central Asian country for operations in neighbouring Afghanistan. Uzbekistan also said that the United States had not paid takeoff and landing fees, as well as compensation for security services, new infrastructure, ecological damage and inconvenience to the local population. The statement was issued two days after the Shanghai Cooperation Organisation called for the United States and its coalition allies in Afghanistan to set a date for withdrawing their military bases from Central Asia. Last month Uzbekistan introduced severe restrictions on American flights from the Khanabad base forcing the U.S. command to redeploy some aircraft to Afghanistan. Kyrgyzstan has joined Uzbekistan in calling on Washington to shut down its air base near the Kyrgyz capital Bishkek." The government of Kyrgyzstan has also called for the Americans to leave their country, and as we can read as reported by the RIA Novosti News Service in their article titled "Kyrgyz ambassador: U.S. base must go, Russia's should stay" and which says, "The United States' military base near the Manas Airport, in the Central Asian republic of Kyrgyzstan, must go and Russia's, at Kant, should stay, the Kyrgyz Ambassador to Russia said Monday at a press conference here. Apas Jumagulov recalled the recent Shanghai Cooperation Organization (SCO) summit explaining the need for the Manas base's withdrawal by the fact that the situation in the neighboring Afghanistan was returning to normal." "A regional alliance led by China and Russia called Tuesday for the U.S. and its coalition allies in Afghanistan to set a date for withdrawing from several states in Central Asia, reflecting growing unease at America's military presence in the region. The Shanghai Cooperation Organization, which groups Russia, China, Kazakhstan, Kyrgyzstan, Uzbekistan and Tajikistan, urged a deadline be set for withdrawal of the foreign forces from its member states in light of what it said was a decline in active fighting in Afghanistan. The alliance's move appeared to be an attempt to push the United States out of a region that Moscow regards as historically part of its sphere of influence and in which China seeks a dominant role because of its extensive energy resources." "Powerful geo-political interests are fueling the American war drive. In many respects US policy in the Persian Gulf is driven today by the same considerations that led it to invade Iraq nearly eight years ago. As a "senior American official"--most likely Secretary of State James Baker--told the New York Times within days of the Iraqi occupation of Kuwait in August of 1990: "We are talking about oil. Got it? Oil, vital American interests." This struggle recalls the protracted conflict between Britain and Russia at the end of the nineteenth century for hegemony in the Middle East and Central Asia that became known as the Great Game. Germany made its own thrust into the region with its decision to build the Berlin to Baghdad railroad. The resulting tensions played a major role in the growth of European militarism that erupted in World War I. This time American imperialism is the major protagonist. Over the past several years, the battle for dominance in the region has come to center on one question: where to build a pipeline to move oil from the Azeri capital of Baku to the West. "The Caspian region has emerged as the world's newest stage for big power politics. It not only offers oil companies the prospect of great wealth, but provides a stage for high-stakes competition among world powers.... Much depends on the outcome, because these pipelines will not simply carry oil but will also define new corridors of trade and power. The nation or alliance that controls pipeline routes could hold sway over the Caspian region for decades to come." "Asia's undeclared oil war is but the latest reminder that in a global economy dependent largely on a single fuel -- oil -- "energy security" means far more than hardening refineries and pipelines against terrorist attack. At its most basic level, energy security is the ability to keep the global machine humming -- that is, to produce enough fuels and electricity at affordable prices that every nation can keep its economy running, its people fed and its borders defended. A failure of energy security means that the momentum of industrialization and modernity grinds to a halt. And by that measure, we are failing. In the United States and Europe, new demand for electricity is outpacing the new supply of power and natural gas and raising the specter of more rolling blackouts. In the "emerging" economies, such as Brazil, India and especially China, energy demand is rising so fast it may double by 2020. And this only hints at the energy crisis facing the developing world, where nearly 2 billion people -- a third of the world's population -- have almost no access to electricity or liquid fuels and are thus condemned to a medieval existence that breeds despair, resentment and, ultimately, conflict. In other words, we are on the cusp of a new kind of war -- between those who have enough energy and those who do not but are increasingly willing to go out and get it. While nations have always competed for oil, it seems more and more likely that the race for a piece of the last big reserves of oil and natural gas will be the dominant geopolitical theme of the 21st century." To this ‘New Kind Of War” the Washington Post speaks of we can already see by the actions of these Western Nations how it is to be waged, by the deliberate terrorizing of their own citizens through continued mass attacks designed to keep them in constant fear against enemies that do not exist for the purpose of creating a War Society built upon the model established by the Nazi Germany Regime of the 1930’s, and which led to the last Global War. For their continued refusal to see the whole truths of the very World they live in, and instead believing only in the repeated lies of propaganda told to them, these Western peoples have now been labeled as the most insane in the world, and as we can read as reported by the Australian News Service in their article titled "People in West suffer more from mental illness" and which says, "People in the West suffer more from mental illness than those in poorer countries, with chances of recovery being higher in places like India than in say New York or London, says an Australian study. Their findings are expected to rewrite international textbooks on the devastating mental illness characterized by symptoms such as hallucinations, delusions, disorganized communication, poor planning and reduced motivation, it reported." To the shocking devastation of Total Global War these Westerners know only through their movies, soon they will know it by looking out their doorways. © July 13, 2005, EU and US all rights reserved. TEHRAN, July 12, 2005 – The issue of oil exploration in the Caspian Sea, once getting lots of news coverage, was marginalized for a long time, subsequent to gas discovery in the oil wells of Meisam and Meqdad in Iran’s coast in 1990 and 1991. In addition, the legal regime of the Caspian Sea and Iran’s border line are yet to be determined, 1921 and 1940 historical ‘agreements’ are still presented as the documents in this regard. Presently, Iran does not approve the border line determined for it, because the division does not include in the main share of oil resources held by the country. However, despite problems, the agreement on oil exploration in the Caspian Sea was made, pursuing the purpose of oil production by Iran in the next couple of years. Due to a new contract made between Oil Exploration Company and Khazar Oil Company, Pejvak ship will perform three dimensional seismographic operations in the Caspian Sea. The two dimensional seismographic measurements have already been taken by a consortium comprised of Shell Co. and Bowlazma. The deputy further explained that the NIGC has the task of implementing the construction operations and commissioning of gas pipelines for export purposes, starting from Tabriz’s pressure station to Norduz village located in Iran-Armenia border. In Armenia, SANIR Co., affiliated to Iran’s Energy Ministry, is in charge of the pipeline construction to Karajan and commissioning it. In Iran, the construction of this gas export pipeline is delivered to the domestic contractor on the EPC (engineering, procurement and construction) basis, he said, adding that in Armenia, the pipeline construction has been launched since February 2005. The Iranian contractor is presently equipping the workshop; the required pipes have been purchased, and the construction operations have been launched in four zones. According to a senior oil official, Salehiforuz, the part of the pipeline passing via Iran is 113 km long and 30 inches in diameter. He added that 60 percent of the pipeline construction operation is carried out in the mountainous and hard-to-pass regions. The part of the pipeline passing via Armenia is 42 km long with a diameter of 28 inches. It transfers gas from the border point with Iran to Karajan. The received gas in Karajan is injected to internal gas distribution network in Armenia, he stated. The two countries have agreed on the figure of 200 million cu. m as the volume of the gas export per annum, equal to 300,000 to 400,000 cu. m per day. The gas supply to Nakhichevan would be carried out on the swap basis with Azerbaijan Republic. The NIGC takes the gas from Azerbaijan in the border point of Astara and delivers it to Nakhichevan on Jolfa border. The construction operation of this project is being implemented and would be completed by October 2006. The 32-inch gas pipeline between Neka and Sari would soon be completed by Iran Oil Engineering and Construction Company (IOEC), affiliated to National Iranian Oil Products and Distribution Company (N.I.O.P.D.C). By implementing this project, the capacity of transferring crude oil to Tehran would increase to 370,000 barrels per day (bpd). The amount of the crude oil swap was put at 65,000 bpd on average in the last month with the renewal of the swap contracts by Nikoo Co. The capacity of transfer pipeline of Baku-Tbilisi-Ceyhan at 50 million tons per annum (one million bpd), explaining that this pipeline is 1,800 km long and is like a reservoir with the capacity of 10 million barrels. In other words, the pipeline itself is the first consumer and its operation has had no impact on the amount of the oil swap via Iran. Negotiations have been made with the French Total Co. on transferring gas within two stages. The first stage transfers crude oil to a maritime terminal in Kazakhstan via a pipeline, and then, it is carried to Neka by using the 63,000-ton ships. The second stage includes in the continuation of the pipeline to the Persian Gulf, he said. A memorandum of understanding (MOU) has been signed with Total Co. on this pipeline named KTI (Kazakhstan–Turkmenistan–Iran). He said that a contract on oil exploration in the Caspian Sea has been signed, and presently the required equipment for drilling two wells has been purchased. For drilling the wells, North Drilling Company would enjoy cooperation of a foreign partner possessing enough experience in this field, since drilling wells in the deep waters is the first experience in the country. With regard to cooperation with the foreign companies in the Caspian Sea project, an international company has made a proposal and an MOU would be signed upon the agreement by the officials. He also said that a proposal has been made on the presence of a third company in the oilfields disagreed by Iran, Turkmenistan, and Azerbaijan. However, the exploration operation would be carried out in these fields, if an agreement is reached. Alborz platform is made in order to launch drilling operations for the exploration wells in the Caspian Sea as well as determination of the legal regime of Caspian. It is the only alternative for developing the oilfields in this sea. Khazar Oil Company is presently carrying out the construction of the platform and drilling wells. In addition, the Foreign Ministry and the Supreme National Security Council have emphasized to assist the Oil Ministry on determination of the legal regime of the Caspian Sea. The time of oil production in the Caspian Sea depends on the results of drilling two exploration wells. If the results are successful, the project developing the sea’s oilfields would be launched through drilling the development wells. This is the second of two parts on the outlook for oil exports from countries that border the Caspian Sea. With the battle for pipelines essentially over, international oil companies (IOCs) and regional governments can get down to the business of actually pumping out the Caspian's oil potential. Numerous projects are under way, the majority of which are being led by foreign energy companies. Yet after a number of drilling disappointments in the southern Caspian Sea, including several dry holes, some projects in Azerbaijan have already closed down. Other projects, such as the elephantine Kashagan field off Kazakhstan, appear set to live up to the hype. Still, only a handful of major projects will provide the bulk of the new oil emanating from the Caspian region (Table 2). No state represents the potential of the Caspian region better than Kazakhstan. The country's vast proved oil reserves were largely untapped in the Soviet era, and the discovery of the massive Kashagan field in 1999-the largest oilfield discovery in the world for 30 years-in shallow water of the North Caspian has only added to its allure.. Yet Kazakhstan's offshore is largely unexplored, and the much- vaunted "Caspian Development Programme" has been derailed by a restrictive production-sharing agreement (PSA) regime and a new tax policy in 2004 that foreign energy companies say has hampered investment. Still, Kazakhstan's potentially voluminous offshore oil reserves have made it the most attractive investment destination in the Caspian region for IOCs. Its main Caspian project already in production is at Tengiz oil field on the eastern shore, developed by Tengizchevroil (TCO), a Chevron-led consortium, with estimated recoverable reserves of 7-9 billion bbl. The $3 billion second generation and sour gas injection (SGP/ SGI) expansion finally went forward in January 2003 after a dispute over financing of the project, and output at the field rose to 270,000 b/dby the end of 2004. Production is slated to reach 750,000 b/d by the end of the decade and could top out at 1 million b/d by 2012 under the right economic conditions. Although not technically a "Caspian project," the development of its Karachaganak gas-condensate field on the Russian-Kazakh border is nonetheless a key energy project for Kazakhstan. Led by BG Group, the Karachaganak Petroleum Operating BV (KPO) consortium has focused on extracting liquid hydrocarbons in the initial stages of the field's development. A pipeline connection to the CPC's Tengiz-Novorossiisk pipeline, completed in 2003, has given the consortium an export outlet for its condensate output, although a problem with contamination forced KPO to push back exports via the CPC until mid-2004. KPO is producing 100,000 b/d in condensate with plans to increase that total to 140,000 b/d, although Phase III development of the field will focus on gas extraction. Karachaganak condensate exports eventually could be redirected to China once the Kazakhstan-China pipeline is completed. The aforementioned Kashagan project is Kazakhstan's first major offshore oil field development, and its massive size-with an estimated 3 8 billion bbl in proved reserves, including at least 7 billion to 9 billion bbl recoverable-has stimulated significant IOC interest in the offshore development program. Due to its massive production potential and obvious importance- both to Kazakhstan and global oil supply-the project has been delayed by a series of setbacks as the government and the consortium developing the field, the Agip Kazakhstan North Caspian Operating Co. (Agip KCO), have argued over plans for developing Kashagan. OAO Lukoil and Kazakhstan's Kazmunaigaz used Lukoil's Astra jack up to spud the first well last month on the Tub-Karagan block in the Caspian Sea. It is to drill to 2,500 m in 7 m of water. An original timetable for the start of oil production in 2005 proved untenable, prompting the government to demand compensation from Agip KCO, led by Italy's Eni, before consenting to a delay in the start of production. The new timetable for production envisions first oil in 2007-08 at 75,000 b/d, rising quickly to 450,000 b/ d by 2010, then to 900,000 b/d by 20 13, and finally hitting a plateau output of 1.2 million b/d by 2016. Recently, five of the existing members of Agip KCO struck an agreement-after protracted negotiations-with the government to divide up BG Group's 16.67% stake in the project among them, with Kazmunaigaz getting an 8.33% stake to give the state a direct role in Kashagan. Several more oil projects in the Kazakh sector of the North Caspian are in the very early stages, with talks still continuing over fields such as Isatai, Zhemchuzhina, and Zhambyl. In addition, Russia and Kazakhstan have agreed to jointly develop the 7.33 billion bbl Kurmangazy field, which lies in the Kazakh sector of the sea but straddles the Russia-Kazakh border. However, a deal on a PSA for the field has been delayed over Rosneft's concerns over the Kazakh fiscal regime, even as Kazmunaigaz is ready to bring in France's Total as operator of the project. The Kurmangazy dispute epitomizes the Kazakhstan dilemma for foreign oil companies: a massive oil field that holds much untapped potential but an overbearing government eager to dictate the terms and pace of development. Kazakhstan is hoping to treble its current production of 1.2 million b/d by 2015, but government interference is beginning to hinder foreign investment. In turn, the government is increasingly turning to state-to-state oilfield development deals rather than open tenders for its offshore blocks. Kazakhstan will need additional export outlets, as well as perhaps a more conciliatory approach to foreign investors, if it is to catapult into the superleague of world oil producers in the next decade (Table 3). Once seen as the jewel in the Caspian crown, Azerbaijan is proving that much of the 1990s hype surrounding the Caspian is overblown. A series of high-profile drilling disappointments in the Azeri sector of the Caspian Sea left several IOCs high and dry, though the Azeri government continued to promote the country's offshore potential all the while. The result has been a distinct shift northwards in foreign investment in the region, leaving Azerbaijan scrambling to convince energy companies to continue drilling while hoping for another major discovery. For Azerbaijan, one of the oldest hydrocarbon-producing regions in the world, the 21st century oil boom starts-and may end-with the exploitation of the ACG structure. The BP-led AIOC signed the 30- year, $8 billion "contract of the century" in 1994, and initial oil production began in 1997, but 2005 marks a turning point for the project. With the BTC pipeline slated to come on stream later this year (initial exports from Ceyhan are expected in the fourth quarter following the pipeline's official commissioning in May 2005), AIOC has begun to ramp up production at the structure, which stood at 130,000 b/d at the end of 2004. The start of production at Central Azeri field in February 2005 has already ratcheted up output to around 165,000 b/d through March, and production for 2005 is expected to rise to around 220,000 b/d. With West Azeri field scheduled to come on stream in 2006, AIOC is expecting output to increase to 424,000 b/d of oil, then to 754,000 b/d in 2007 with the first oil from East Azeri field. The final phase of the ACG project, development of deepwater Guneshli field in 2008, is expected to push AIOC's oil production past the 1 million b/d level in 2008 with 1.046 million b/d once the field is brought on stream. However, AIOC's development plans for the 5.4-billion-bbl ACG structure envision a sharp dropoff in production after hitting peak output. The ACG fields will see production taper off to 800,000 b/d early in the next decade before a steep decline starts, with output leveling off at between 250,000 and 300,000 b/d by 2020 (Table 4). Now that Azerbaijan's oil boom has finally arrived, however, the government needs other projects to sustain that boom, but the prospects thus far are not good. High hopes for offshore projects at the Lenkoran-Talysh, Oguz, Apsheron, and Ateshgah blocks were dashed by drilling failures, and each of those projects has closed. Similarly, ExxonMobil's inability to find commercial hydrocarbon reserves at either the Zafar-Mashal structure or the Nakhichevan block means that these two projects are effectively dead as well. Just as Azerbaijan's long-awaited return to world oil prominence is kicking off, the country is staring directly into the abyss in the absence of another major discovery. Azerbaijan still has hope, however, that several fields could dispel the notion that the country is all hype, no substance. For example, Lukoil is drilling the Yalama block in the northern part of the Azeri section of the Caspian Sea. In addition, the country stands to benefit greatly from a multilateral accord on the legal status of the Caspian Sea-if only the littoral state\s could agree to one. Several prospects in disputed waters near the Azeri-Iranian and Azeri-Turkmen maritime borders could see significant investment if the legal uncertainty about their ownership is removed. In particular, the Araz-Alov-Sharg structure, with an estimated 6.6 billion bbl in reserves, could be a major boon for Azerbaijan's oil industry. A joint development deal between Azerbaijan and Iran, along the lines of the Russian-Kazakh agreement in the North Caspian, could open up the structure for development, but in the absence of such an agreement, Azerbaijan will increasingly rely on the ACG project to drive its oil production. Over the course of the past 14 years, independent Turkmenistan has distinguished itself among the ex-Soviet Caspian nations as a virtual black hole of foreign investment. Not only are the estimated oil reserves in its sector of the Caspian Sea thought to be substantially smaller than those of Azerbaijan or Kazakhstan, but Turkmenistan has also done a far better job of repelling foreign investment than it has of attracting it. The central Asian republic inherited a bloated bureaucracy from the Soviet era, but under President Saparmurad Niyazov (also known as "Turkmenbashi," or "Father of the Turkmen"), the investment climate has perhaps even worsened. Niyazov, who was appointed president-for-life in 1999 by the rubberstamp Turkmen legislature, has exhibited a knack for erratic policymaking and micromanagement of the economy, fostering a wildly unpredictable investment climate, complete with arcane regulations and constantly changing administrative requirements. The absence of political or economic reforms gives Turkmenistan the aura of a mini-Soviet planned economy, precollapse. The majority of international energy companies who dared venture into the murky world of Turkmenistan in the 1990s have departed, leaving only a handful behind. Still, those few companies that have found themselves on Niyazov's good side have managed to carve out a small niche in the country's Caspian shelf. Dragon oil, a company based in the United Arab Emirates, has the rights to the Cheleken contract area on the shoreline, and the company's extensive well workover and continuous drilling program have boosted production above 20,000 b/d. Petronas, the Malaysian state oil company drilling at Makhtumkuli- 3A field (also known as East Livanov), announced encouraging results earlier this year with plans to begin production by late 2005. Furthermore, the UK's Burren Energy is continuing to produce oil from the onshore Burun field under the Nebit Dag PSA with Turkmenistan. Despite the shoddy investment climate and the "reputational risk" to IOCs from Turkmenistan's awful human rights record, investment dollars in the country's oil sector are actually on the rise, led by Russian companies but also including well-known players such as Denmark's Maersk Oil and lesser-known Western companies such as Canada's Buried Hill Energy. A consortium of Russian companies, including Zarubezhneft, Rosneft, and Itera, are still negotiating details for the Zarit PSA, while Gazprom and Lukoil are also seeking to develop oil fields in the Turkmen sector of the Caspian. Maersk signed a PSA for offshore blocks in October 2002, while Buried Hill enlisted the services of former Canadian prime minister Jean Chretien to secure rights to Serdar field. However, Azerbaijan, which also claims the field but calls it Kyapaz, has raised objections to the licensing of the field, threatening retaliation against Canada. Given the dictatorial nature of the Niyazov regime-as well as the uncertainty in the investment climate-Turkmenistan will struggle to attract larger levels of foreign investment, making it nearly impossible to achieve Turkmen bashi's ambitious production growth targets. Although Turkmenistan has substantial gas reserves, the country has comparatively small oil resources, and the goal of 2 million b/ d in oil output by 2020 looks unobtainable, especially given current production of just over 200,000 b/d (Table 5). In the absence of direct access to export markets or further market-oriented reforms, foreign investment in Turkmenistan's oil sector will remain limited, which in turn will put a ceiling on Turkmenistan's ability to significantly increase its oil production. For Russia, the Caspian Sea represents just one of a number of emerging oil regions. The Russian sector of the sea has been largely unexplored, with the Kremlin (Russia's presidential administration) and Russian oil majors instead placing emphasis on efforts to exploit existing fields in Western Siberia, which has a well-developed system of infrastructure already in place. Foreign investment in the Russian oil industry has concentrated thus far on Sakhalin Island in the Far East and the Russian Arctic, as well as Western Siberia. Eastern Siberia is beginning to come into focus as the government seeks to license new oil fields and develop the region, but the Caspian region is largely the purview of Russian companies. Russia was an active participant in the Caspian oil and gas pipeline battles of the 1990s, but the government is beginning to emphasize exploration and development of its sector of the Caspian. A 2002 agreement with Kazakhstan on the division of the North Caspian Sea provides the framework underpinning cooperation and joint development of Khvalynskoye and Tsentralnoye fields, which lie mainly in Russian waters. Russia's Lukoil was appointed by the government to represent the country in the joint development projects, and the oil major has formed a joint venture, TsentrKaspNeftegaz, with Gazprom to develop Tsentralnoye field along with Kazmunaigaz, the Kazakh state oil and gas company. Lukoil and Kazmunaigaz agreed on a timetable of 2007-08 for initial oil production from the field, but given that the project remains in its initial stages, this is obviously unrealistic. In March 2005, Lukoil formed a JV, the Caspian oil & Gas Co., directly with Kazmunaigaz in order to undertake development of Khvalynskoye field. Despite these tentative steps forward, Russia's exploration and development of its part of the Caspian Sea will likely remain on the back burner in the short term as foreign investors remain wary of the Kremlin's increasingly interventionist approach to the Russian natural resources sector. The long-running "Yukos affair" continues to cast a shadow over the Russian oil industry, especially in the wake of the verdict in the trial of former Yukos CEO Mikhail Khodorkovsky. Despite the cancellation of the state's plans to merge Gazprom and Rosneft, the Russian government's determination to acquire a majority stake in Gazprom and regain control of the gas giant indicates the state's desire to play an even more direct role in the development of Russia's oil and gas reserves. Oil reserves in the Russian sector of the Caspian, therefore, are likely to remain an exclusively Russian play (with Kazmunaigaz along for the ride with the bilateral deal to divide the North Caspian). The Kremlin will likely dictate the pace of development of the Russian sector of the Caspian in line with state political and economic objectives. Regardless, the Caspian's contribution to Russia's overall oil production will remain minimal for the foreseeable future. Iran has taken a rejectionnist stand on Caspian development by the other littoral states to date, holding out for one-fifth of the sea's resources. 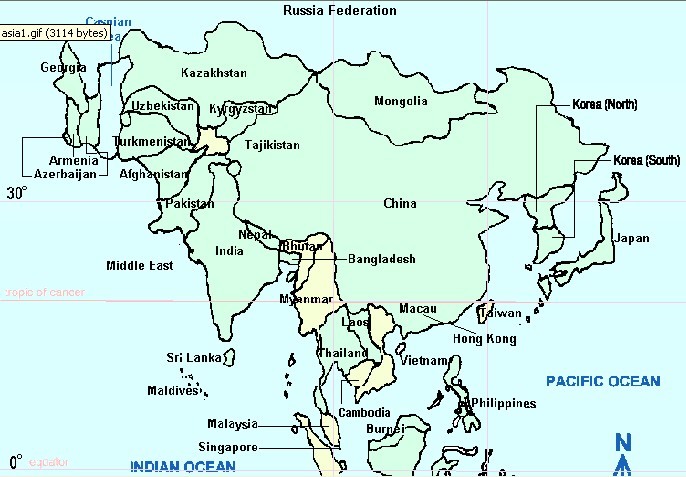 Kazakhstan, Azerbaijan, and Russia have backed the division of reserves based on length of coastline, which would give Iran only a 13% stake of the area resources, the smallest of the five states. Iran has been fighting a losing battle against the other Caspian littoral states, basing its rationale for a division of the sea on early 20th-century agreements that hold little water given the emergence of the new states from the breakup of the Soviet empire. Indeed, development work by the northern Caspian states has picked up since the Russia-Azerbaijan-Kazakhstan trilateral agreement of 2003, leaving Iran's as a sole dissenting voice, with some occasional backing from Turkmenistan, which would receive an 18% stake under the median-line division. However, Iranian resolve over an overall territorial division does seem to be slipping, at least in practical terms if not on the rhetorical level, where the 20% claim lives on. An aggressive drive to increase transit oil from existing Caspian developments is one sign of pragmatism from the Iranian side. Iran has a goal of increasing its volume of oil transit to 1.6 million b/d by the end of the decade from some 110,000 b/d at the end of 2003. Some of this volume would necessarily come from offshore production. Energy cooperation between Iran and the former Soviet Caspian states is also increasing via new gas pipeline linkages and electricity connections. Another sign of weakening Iranian resolve on this issue has been the government's decision to commission seismic surveys and launch an exploratory drilling program in the near offshore area in 2005. Iran is looking for additional oil reserves to meet ambitious production targets of 5 million b/d by end-2005-which appears unlikely given current capacity of 4 million b/d-and 7 million b/d by 2015. With an estimated 300,000 b/d of oil production lost each year through field maturity and attrition, Iran will likely require Caspian development to bring onstream the resources necessary to supplement aging onshore and gulf oil fields, a point which seems to be gathering currency within the government. Iran started construction of the Iran-Alborz drilling platform in the Caspian in 2004 to drill to depths of over 1,000 m, although technical problems have held up the start of exploration work. Foreign players a\re also being sounded out for Caspian work, including Petrobras and Statoil, in addition to engineering players, given the lack of experience by domestic Iranian companies in deep offshore exploration and production. As initial exploration work continues and Iran reaps the rewards of Caspian oil development in other littoral states through transit trade and product imports, the country's rejectionist stance is likely to become even less tenable. From Iran's perspective, this leaves a widening gap for a negotiated settlement on an overall division of regional reserves and the eventual allocation of exploration and production acreage in the Iranian sector to foreign players. Looking at the bottom line, what, if any, impact will Caspian region oil production have on global oil markets? Going forward, the trend in oil markets is relatively simple: Demand is rising steadily, with supply struggling to keep pace. Spare capacity is being squeezed, and with much of the world's oil extracted in countries with unstable political environments, traders are bidding up prices as a result. Demand growth has continued unabated in spite of higher prices, suggesting that demand is relatively inelastic and, unlike the oil shocks of the 1970s, rising oil prices are not snuffing out global economic growth. Assuming oil consumption continues to rise in coming years by, say, a modest 1.8%/year rate, some 1 million to 1.5 million b/d of new oil supplies will be needed to satisfy demand. Factoring in declining production from mature existing basins in places like the continental US and the North Sea, some 2.5 to 3 million b/d of "new" oil will be needed. Rebuilding spare capacity to quieten tempestuous markets in the event of a supply disruption will require an additional 500,000 to 1 million b/d in new oil production over a 5-year period, for example, raising the requirements for new oil supplies to perhaps 4 million b/ d/year in order to balance the market in the future. Can Caspian oil fill the void? The simple answer is no. Given the projected oil volumes coming from the major established and planned projects-Tengiz, ACG, and Kashagan-the Caspian region could contribute an estimated 2.2 million b/ d/year of oil to world markets by 2010. Considering current output from these projects of around 535,000 b/d, this adds approximately 1.765 million b/d in "new oil" to the market 5 years from now-hardly enough to offset declining production elsewhere around the globe, let alone build spare capacity or even have the ability to impact prices. Of course, some additional oil could emanate from the Caspian, notably from Karachaganak and probably from Petronas's project in Turkmenistan, but these volumes are unlikely to add more than incremental supplies to the market. Before dismissing Caspian oil's impact on global oil supplies, however, it is useful to take a longer-term approach-and keep in mind the numerous wild cards involved in calculating the region's future production. The Tengiz, ACG, and Kashagan projects are projected to provide 3 million b/d of oil to global supplies by 2015, including some 2.57 million b/d in new oil. However, by 2015, the Kurmangazy, Khvalynskoye, and Tsentralnoye projects could all be onstream as well, adding to the region's base of oil output. Further development of the untapped Kazakh offshore reserves, combined with a potential lucky discovery in the Azeri sector of the Caspian, could provide further supplies-say an extra 1 million b/d in total. A multilateral agreement on the division of the Caspian could trigger investment in development of several disputed hydrocarbon structures in the southern Caspian and-given adequate export outlets-suddenly the Caspian region could actually contribute that desired 4 million b/d to oil markets in 2015. However, this is still largely an optimistic scenario, driven by assumptions that history has not borne out. The succession of drilling failures in the Azeri sector of the Caspian does not bode well for future discoveries, and the ongoing dispute over the legal status of the sea-nearly 14 years since the breakup of the Soviet Union-does not augur well for a quick resolution that would open up new fields to exploitation. While recent history in itself does not mean that the littoral states are precluded from reaching an agreement on the division of the sea's resources, neither does it suggest that Azerbaijan, Iran, Kazakhstan, Russia, and Turkmenistan can resolve their differences and strike a deal acceptable to all parties. Furthermore, the potential 4 million b/d in Caspian oil production to be added by 2015 is the sum total, not new oil per year. By itself, then, new Caspian oil will have little real impact on global markets, perhaps only helping to offset declining global production elsewhere. In combination with other emerging oil supply centers such as West Africa, and Caspian region may help to balance out global markets, but if demand continues to rise at even a modest rate, these regions will still struggle to satiate the world's appetite for new oil. By itself, and in the absence of a major supply disruption in the Middle East, Caspian oil will have no substantive impact on prices in the coming decade. Hence, Western policymakers looking to the Caspian region to help bring down lofty oil prices will be sorely disappointed. Given the projected rise in demand, new oil emanating from the Caspian basin will have a hard time even reducing the world's increasing dependence on "risky" Middle East oil. As such, OPEC will certainly gain more power as the world becomes more dependent on the producer cartel for oil supplies. With OPEC apparently committed to a higher price band, oil prices look set to remain above $40/bbl.The hope among consuming countries that future Caspian oil supplies might serve as the catalyst to reduce oil prices in the coming decade appears overblown hype. Not quite a dry hole, the Caspian region's impact on world oil markets will certainly be no gusher, either. Catherine Hunter and Simon Wardell contributed to this article. When questioned in front of cameras on CNN, we saw President George Bush stuttering and stammering and refusing to take a stand on the China bid for UNOCAL. The news reported it this way: "President George W. Bush has declined to take a stand on the issue, saying he will await the CFIUS review process." Members of Congress opposed to a Chinese bid to take over the California-based energy company Unocal have built broader support for their campaign to block the deal on the grounds that it could threaten national and energy security in the United States. But China is not the first foreign country to seek energy assets owned by Americans. Indeed, oil industry analysts say that the effort by China National Offshore Oil Corp. to outbid Chevron for Unocal appears to pose probably even less risk of generating domestic shortages or other energy-security headaches than other foreign acquisitions that have been approved by the government in the past. For more than two decades the United States has not blocked foreign acquisitions of energy properties by Saudi Arabia, Venezuela, Russia, France, Norway and Brazil, among others. Some of those deals, particularly Venezuela's purchase of Citgo, involve access to oil supplies vulnerable to disruption because they feed refineries and thousands of American gasoline stations. By contrast, Unocal has few strategic oil assets in the United States. The company, based in El Segundo, California, does not have refineries or gasoline stations, having sold them eight years ago. In fact, the real prizes more than half of Unocal's production and reserves that both Chevron and the Chinese are after lie in Asia, particularly in Indonesia and Thailand. "The assets involved in the Unocal transaction are not of the scale or geographic location to make them of critical importance to U.S. energy security," said Amy Myers Jaffe, an energy fellow at the James Baker 3rd Institute for Public Policy in Houston. "Many of the important Unocal assets are actually located in Asia, and the energy produced there would never flow to the United States." Still, the bid has prompted strong debate in Washington. On Thursday, Representative Carolyn Cheeks Kilpatrick, Democrat of Michigan, won House passage of her amendment to the annual appropriations bill prohibiting the Treasury Department from recommending the sale of Unocal to Cnooc. And Thursday night, the House approved, by a vote of 398-15, a resolution stating that Chinese ownership of Unocal would "threaten to impair the national security of the United States" and that approval by Unocal's board of the bid should result in a "thorough review" by President George W. Bush. The resolution was presented by Representative Richard Pombo, Republican of California, whose district includes Unocal's headquarters. In his resolution, Pombo cited concerns about oil exploration technologies that have "dual use" in commercial and military applications. "We cannot afford to have a major U.S. energy supplier controlled by the Communist Chinese," Pombo said on the House floor. "If we allow this sale to go forward, we are taking a huge risk." But Representative Jim Moran, Republican of Virginia, said blocking the Chinese bid was a dangerous move. "They are holding a financial guillotine over the neck of our economy, and they will drop that if we do things like this that are not well considered," Moran said on the House floor. "If we don't let them invest in Western firms, what are they going to do? They are going to invest in Iran or Sudan and make those governments much stronger than they are today." The congressional debate so far seems to neglect the fact that only one-third of Unocal's production and one-quarter of its reserves are in the United States. And its combined oil and natural gas production is only 1 percent of total U.S. consumption of the two fuels. It has modest production in Texas and Alaska and is involved in costly and tough-to-develop oil projects in the deep waters of the Gulf of Mexico. Foreign companies in the United States, however, currently own 28 percent of American refining capacity, up from 15 percent in 1983, according to the Energy Information Administration, a part of the Energy Department. Nearly 14 percent of U.S. crude oil was produced by foreign companies in 2003, up from 13 percent 20 years ago. Natural gas production by foreign companies doubled in that period to 12 percent, the Energy Department said. U.S. securities regulators on Wednesday gave final clearance to Chevron's offer, leaving Cnooc just six weeks to convince Unocal's board that its own bid for Unocal is superior. Chevron says it would move up its shareholder vote, to August from the third quarter. Peter Robertson, vice chairman of Chevron, said in an interview last week that Chevron believed Cnooc might "strategically focus" Unocal's oil and natural gas assets toward China, potentially restricting supply to the rest of Asia. Oil prices are determined by global supply and demand and China's energy needs are acute, so oil taken off the market could potentially affect prices everywhere. But analysts say any lost Unocal production would be too small to shift prices much or cause any global oil shock. Unocal's production and reserves in the United States could not be easily redirected. For decades the U.S. government has restricted exports of crude oil from the Lower 48 states, since the United States must import well over half of its oil from abroad. Then, from 1973 to 1995, it restricted exports of Alaskan crude oil. Declining production on Alaska's North Slope and citizen outrage at the notion of exporting any U.S. oil have discouraged oil companies from sending much Alaskan crude abroad since then, Energy Department officials said. Some of those opposed to a Cnooc deal, including executives at Chevron, have said China should be prevented from buying the American company because the Chinese do not "play fair" on oil deals and because the Chinese government is backing Cnooc's bid with low- interest loans. "You don't enter China unless it is on terms favorable to the Chinese," said Robin West, chairman of PFC Energy, an energy consultancy in Washington. "Chinese companies are clearly advantaged." While potential for oil in China is not on the world scale of countries in the Middle East or around the Caspian Sea, several companies, including Chevron, have been operating in China for many years. According to BizChina, a Chinese newspaper, China's oil industry has attracted more than $7 billion in foreign investments since 1982. Chevron is a partner with the Chinese in two midsize deals with Cnooc. Buying a majority stake in a Chinese company, however, would be difficult. Some of the United States' longest-term energy partners have more restrictive access to their markets than China. Mexico's state- owned oil company, Petroleos de Mexico, or Pemex, does not allow outside foreign investment in Mexico's oil sector. Despite that, Shell's American subsidiary was allowed to sell 50 percent of its 215,900 barrel-a-day refinery in Deer Park, Texas, to Pemex, in 1993. Shell still operates the facility with Mexican involvement. Occasionally, there are tipping-point moments and we are witnessing one at the moment. Seismic change is afoot. As oil prices breach US$60 a barrel and pessimists warn that the world could be as little as 10 years away from a first-order resources crisis, China's largest oil company, China National Offshore Oil Corp (CNOOC), has launched a US$18.5 billion bid for one of the US's juiciest medium-sized oil companies, Unocal. The world's two biggest continental economies are suddenly head to head over who controls increasingly scarce oil. The stuff of pulp novels at airport bookstalls is a reality. The reaction in the US has been immediate, aggressive and hypocritical. Much Congressional sound and fury has been vented on Russia for not opening up more to US oil companies which want to buy strategic reserves. Now that the boot is on the other foot -- China buying an American oil company and its reserves -- US congressmen and senators are deploying Russian President Vladimir Putin's arguments as their own. US oil, jobs and national security are at issue, they blaze, and an investigation is already under way to see whether China's bid should be blocked on national security grounds. It is rigged to take months. The Chinese, for their part, implausibly plead innocence. Assuming the improbable rhetoric of a Wall Street investment banker, the chairman of CNOOC, 71 percent owned by the People's Republic of China, says that the bid will be good for shareholders on both sides of the Pacific. It certainly offers Unocal shareholders more cash than rival US oil company Chevron was offering, but only because the Chinese government has lent CNOOC a US$2.5 billion interest-free loan to support the loan and subsidized billions more. This is hardly fair play but Unocal shareholders aren't complaining. Nor will CNOOC sack any Unocal workers in the US as Chevron plans, it says, and promises not to export any oil and gas from the US to China. It portrays itself as a benevolent, wronged and misunderstood good fairy. What it wants, and is paying well over the odds for, is Unocal's oil reserves. It plainly calculates that today's US$60 a barrel oil price is just the beginning of a sustained rise in oil prices that will make Unocal, even at US$18.5 billion, a snip. China's interest is obvious. After the US, it is now the world's largest oil importer and acquiring some strategic reserves is vital. CNOOC's full name is telling; the China National Offshore Oil Company -- an organization committed to offshore exploration. China is the world leader in developing robotic underwater exploration submersibles; in 1994, it built a robot capable of working at depths of 305m. Now, according to the People's Daily, it has one that can work at up to 6,096m. The Chinese want oil very badly. And they want it to be imported into China by oil pipeline and not by tankers from the Middle East under the watchful eye of the US navy. The US controls the sea lanes and thus the viability of China's economy, as it regularly lets the Chinese know by shadowing Chinese oil tankers. The US has pre-empted China's attempts to build oil pipelines from the Caspian into China. Unocal's attraction is that its oil reserves are all in central and south east Asia, and once owned by China can be moved into China overland. 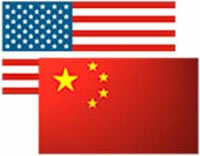 This is a new great geopolitical game and neither the Chinese nor US military are impressed by arguments that the market must rule and that great powers in today's globalized world no longer need strategic oil reserves. The US keeps six nuclear battle fleets permanently at sea supported by an unparalleled network of global bases not because of irrational chauvinism or the needs of the military-industrial complex, but because of the pressure they place on upstart countries like China. Japan's decision this year to abandon its effort to build its own oil company and attempted strategic reserve was an overt acceptance of its dependent position. China is not ready to make the same admission of defeat. No country has offered such a comparable challenge to the world order since Germany's rise at the end of the 19th century. Like China today, it wanted markets and raw materials; like China today, it confronted a world ordered around the needs of the existing powers; like China today, its gigantic size and explosive growth could not be ignored. Germany built fleets and scrambled for colonies in Africa. Today, China builds fleets and scrambles for oil reserves. The open question is whether it will end in another 1914. The optimistic reply is that China is being much cleverer than the Kaiser's Germany. It has expanded by opening up to the world, so giving its great power rivals a stake in its growth; 400 of the US's top 500 companies manufacture in China. Wal-Mart, the US's largest retailer, is founded on cheap Chinese imports. China may have built up immense foreign currency reserves, but it judiciously lends them to the US, so financing the US' trade deficit. Although oil prices are troublingly high, some experts like Erasmus University's Peter Odell believe that, far from oil reserves running out, the earliest world production might peak is well after 2050, and that takes no account of more efficient energy use. Today's upward oil price spike won't last long. There is more than enough oil for China. The pessimistic reply is that's not how it feels or how the game is currently being played. Even if there is enough oil, it is in parts of the world that are endemically volatile. As Paul Roberts points out in The End of Oil, the geological formations that create oil have already been identified and the easily exploitable reserves are rapidly depleting. There is a Panglossian tendency to overstate oil reserves by oil-producing countries and oil companies alike, as we have learned from Shell. Oil production is set to peak much earlier. In any case, what matters is less reality than perceptions of reality; the European powers didn't need colonies in Africa to ensure their prosperity, they just believed they did, as China believes it needs oil reserves in Asia today. And there are the third, fifth and seventh US fleets as a constant reinforcer of its instincts. Nobody knows how this drama will play out. The optimists could be right. But judge the vitriolic tone of the letter from 40 congressmen to US President George W. Bush complaining about CNOOC's bid; look at the disposition of US naval power; recognize the force of China's conviction that it must never again be humiliated as it was in the 19th century and its will to catch up with the West; and plot the growth of China's oil demand as its economy doubles again. The best way of avoiding war is not to dismiss its possibility as outlandish; it is to recognize how easily it could happen and vigilantly guard against the risk. Too few in Washington or Beijing are currently doing that. WASHINGTON, July 13 (Reuters) - The chairman of the Senate Appropriations Committee on Wednesday said he sees no need for legislation similar to a House-passed measure that would block U.S. approval of a Chinese company's attempt to acquire U.S. oil and gas producer Unocal Corp. (UCL.N: Quote, Profile, Research). "No legislation is necessary at this point in my opinion. If the (Bush) administration determines that the acquisition would pose a threat to our national security, then we can take whatever action is necessary to protect our interests," Sen. Thad Cochran, a Mississippi Republican, told Reuters. On June 30, the U.S. House of Representatives attached an amendment to a bill funding Treasury Department activities that would block the agency from spending any money to recommend approving a takeover of Unocal by China's CNOOC Ltd. The Bush administration has said it would conduct an economic and security review if Unocal accepts CNOOC's proposal. The Committee on Foreign Investments in the United States (CFIUS) would conduct the review. The inter-agency panel is headed by the Treasury Department. "There is an interagency committee, chaired by the secretary of the Treasury, which should take the lead in reviewing any proposal by the Chinese corporation to acquire an interest in an American energy company," Cochran said in a written response to questions from Reuters. A Senate debate on a spending bill to fund the Treasury Department in the coming year is expected this summer and some senators are drafting amendments to block the sale, according to congressional sources. The Wall Street Journal on Wednesday reported that CFIUS has declined to begin an early review of CNOOC's bid for Unocal, preferring to wait until the companies reach a deal. A Treasury official told Reuters that CFIUS reviews begin when both parties have filed the appropriate paperwork and the committee determines that an acquisition is likely. The committee does not do advisory opinions, the official said. © Reuters 2005. All Rights Reserved. Citing national security concerns about U.S. oil supplies, the chairman of the House armed services committee vowed Wednesday to introduce a bill to block a Chinese oil company from acquiring Unocal Corp.
U.S. Rep. Duncan Hunter (R-Calif.) said he will also push legislation to strengthen the powers of the Committee on Foreign Investments in the United States, a congressionally-mandated committee that can block any foreign purchase of a U.S. company deemed to threaten national security. Known as CFIUS, the group of Cabinet-level appointees headed by Treasury Secretary John Snow has been criticized for what some see as lax oversight of foreign deals. Hunter's call for new legislation followed a sometimes rancorous hearing Wednesday during which panelists such as former CIA director R. James Woolsey argued against the China oil deal by invoking memories of Pearl Harbor and China's uneasy relationship with Taiwan. They were arguing against the $18.5 billion bid for Unocal by China National Offshore Oil Co. Ltd., a subsidiary of China's third-largest oil company, which is owned by the Chinese government. The bid is designed to disrupt a lower, $16.6 billion offer by Chevron Corp. Unocal's board, which previously accepted the Chevron bid, is set to meet Thursday to weigh the competing merger proposals. CNOOC's bid is expected to face significant hurdles on Capitol Hill should it emerge as the winner. A spokesman for CNOOC declined to comment on whether the company might raise its bid for Unocal in an effort to build more shareholder support for the deal. The bipartisan rhetoric on Capitol Hill also highlighted a growing concern over the hunt by Chinese companies for U.S. acquisitions, part of a larger rivalry between the U.S. and China that is increasingly being infused with militaristic overtones. The debate over the CNOOC bid also is putting strains on the many lawmakers who have pushed free trade in recent years but now feel uneasy about China's growing assertiveness. "I don't think Congress should routinely try to block private-sector deals," Rep. Joe Barton (R-Texas), chairman of the House energy and commerce committee, said in an interview. "But having said that, I do think we need to revise the CFIUS process in light of totalitarian societies manipulating our free markets." Barton has scheduled a hearing Aug. 19 on the CNOOC bid. A CNOOC spokesman said Wednesday that CNOOC chief executive Fu Chengyu could testify. An American-educated executive fluent in English and with extensive experience in the U.S. oil industry, Chengyu in his appearance would seek to allay some of the political heat building up around bidding contest for Unocal. To some observers of oil diplomacy, the brouhaha on Capitol Hill over Unocal seems out of proportion to the company's stature in the industry. Unocal's total output amounts to 0.23 percent of global oil production, and its share of U.S. production accounts for 0.3 percent of the oil consumed in the United States, according to the Congressional Research Service. "We've got 23 suppliers that could more than replace Unocal in the blink of an eye," said Ted Moran, an expert on business displomacy at the Georgetown University school of foreign service. "The U.S. industry has ups and downs before breakfast that are worse than that." At the armed services committee hearing, the lone speaker who sought to downplay the threat from China argued that China could not afford to take hostile action against the United States because the economies of the two countries are so intertwined. "The more China invests here, the less likely it is that we will be running into conflicts down the road," said Jerry Taylor, director of natural resources studies at the Cato Institute, a libertarian think tank. "If China had intentions for some sort of Pearl Harbor attack or global confrontation, I rather doubt it would be sinking billions of dollars into the very economy it hopes to destroy." But Woolsey and other speakers laid out various scenarios by which China might disrupt the U.S. economy, try to exert influence, or even launch attacks ranging from huge electronic pulses that would destroy the U.S. high technology infrastructure to a military raid on Taiwan or elsewhere. Woolsey likened China's rush into the Unocal purchase to "somebody who's new in a school and is a bit of a bully and decides to give someone who's already in the school a short elbow. This deal is a sharp elbow." Besides gaining access to Unocal's oil resources in Indonesia, Thailand and elsewhere, CNOOC also might take control of the only U.S. mine that produces rare-earth metals used to guide smart bombs. It might also be able to turn Unocal's technology for oil exploration into dual uses that could benefit China's military, said Frank J. Gaffney Jr., president of the Center for Security Policy, who has waged a campaign against what he sees as China's global ambitions. Woolsey argued that a congressional action to block CNOOC's proposed purchase of Unocal would send a useful message to China. A recent statement by China's foreign ministry, warning Congress against "meddling" in the takeover, requires a response, he added. "They've bitten off more than they can chew, and they've shown a bit of braggadocio insulting the U.S. Congress," Woolsey said. "Somebody ought to break their sword." Hunter told reporters after the hearing that he will propose a bill to block the CNOOC deal, should Unocal dump Chevron and agree to merge with the Chinese company. "We're looking at all options to weigh in on this transaction," Hunter said. The Caspian Sea region is maybe one of the most striking example of geopolitical turmoil in the world. It's where history and geography fiercely collide! China is prepared to use nuclear weapons against the US if it is attacked by Washington during a confrontation over Taiwan, a Chinese general said on Thursday. “If the Americans draw their missiles and position-guided ammunition on to the target zone on China's territory, I think we will have to respond with nuclear weapons,” said General Zhu Chenghu. Gen Zhu was speaking at a function for foreign journalists organised, in part, by the Chinese government. He added that China's definition of its territory included warships and aircraft. “If the Americans are determined to interfere [then] we will be determined to respond,” said Gen Zhu, who is also a professor at China's National Defence University. Gen Zhu is a self-acknowledged “hawk” who has warned that China could strike the US with long-range missiles. But his threat to use nuclear weapons in a conflict over Taiwan is the most specific by a senior Chinese official in nearly a decade. However, some US-based China experts cautioned that Gen Zhu probably did not represent the mainstream People's Liberation Army view. “He is running way beyond his brief on what China might do in relation to the US if push comes to shove,” said one expert with knowledge of Gen Zhu. “Nobody who is cleared for information on Chinese war scenarios is going to talk like this,” he added. Gen Zhu's comments come as the Pentagon prepares to brief Congress next Monday on its annual report on the Chinese military, which is expected to take a harder line than previous years. They are also likely to fuel the mounting anti-China sentiment on Capitol Hill. In recent months, a string of US officials, including Donald Rumsfeld, defence secretary, have raised concerns about China's military rise. The Pentagon on Thursday declined to comment on “hypothetical scenarios”. Rick Fisher, a former senior US congressional official and an authority on the Chinese military, said the specific nature of the threat “is a new addition to China's public discourse”. China's official doctrine has called for no first use of nuclear weapons since its first atomic test in 1964. But Gen Zhu is not the first Chinese official to refer to the possibility of using such weapons first in a conflict over Taiwan. Chas Freeman, a former US assistant secretary of defence, said in 1996 that a PLA official had told him China could respond in kind to a nuclear strike by the US in the event of a conflict with Taiwan. The official is believed to have been Xiong Guangkai, now the PLA's deputy chief of general staff. Gen Zhu said his views did not represent official Chinese policy and he did not anticipate war with the US. Report: China has deployed missiles giving it second-strike capability against U.S. The U.S. intelligence community has determined that Beijing has developed and deployed a series of missiles that would give China second-strike nuclear capability in any confrontation with the United States. The determination of a sea-based deterrent is said to have significantly increased Beijing's threat to the United States. "It is clear to me that China is now embarking on a significant investment in a second-strike capability to ensure the survival and, thus, viability of its nuclear forces," said Richard Fisher, a researcher at the International Assessment and Strategy Center and a leading U.S. expert on China. In a presentation to the American Enterprise Institute on July 11, Mr. Fisher said China has launched or tested a series of nuclear missiles and platforms. He said the first Type 94 submarine ballistic nuclear missile has been equipped and launched. The Type 94, which began construction in 1999, is designed to contain the JL-2 submarine-launched nuclear missiles. Each submarine is meant to contain 16 JL-2s, or DF-31s, with a range of 8,000 kilometers, which would allow Chinese submarines to target portions of the United States from areas near the Chinese coast. The disclosure of the completion of the Type 94 submarine appeared to mark a significant acceleration in China's nuclear submarine program. As late as May 2004, the Pentagon asserted that the new Chinese missile submarine would not be operational until around 2010. "The JL-2 SLBM has undergone a series of tests," Mr. Fisher said. "The potential for this to be armed with multiple warheads is there." U.S. intelligence sources agree with Mr. Fisher's assessment. They said Beijing has made the production of nuclear warheads and launchers a priority, with emphasis on mobility and decoys. The Pentagon has determined that China plans to deploy the DF-31A, an extended-range variant of the mobile long-range DF-31, in 2007. The sources said the new three-stage, solid-fuel, mobile missile, with a range of 12,000 kilometers, could carry up to three payloads that would separate and overcome existing U.S. missile defenses. "For China, nuclear weapons largely have four purposes: one, strategic deterrence; two, retaliation; three, counter-coercion; and four, great-power status," Rand Corp. senior analyst Evan Medeiros said. Another Chinese missile, the DF-5 Mod 2, with a range of 13,000 kilometers, is said to have completed deployment in 2005. The sources said China has developed the two-stage, liquid-fuel missile to carry between five and 10 warheads. Beijing has also sought to overcome the vulnerability of its fleet by building a huge naval base on Hainan Island in the South China Sea. The sources said the base would contain an underground facility to shelter platforms, such as nuclear submarines, against any potential U.S. attack. Intelligence sources said Beijing has been developing an anti-ship ballistic missile. They said the weapon could be a sea-based version of the DF-11 Mod 1 land-based missile. IS THE INTERNET BEING DISABLE OR DESTROYED FROM OUTSIDE THE COUNTRY? THE KOREAN LEADER - ATTACK ON AMERICA? ANOTHER PEARL HARBOR IN OUR FUTURE? TULGHUR, IRAN - ANOTHER WAR? THE NEW WORLD ORDER -WHAT IS IT? THE HORRORS OF WAR - PEACE AT ANY PRICE?